High foaming concentrate that will wash and wax your vehicle in one step! It adds a protective polymer coating to the surface of your vehicle that enhances the gloss of your paint and repels water for an extended shine. Car Wash & Wax can quickly break down and remove even the most tenacious soils without the use of harsh caustics. Designed for hand-use. Mix 4 ounces of Car Wash & Wax with 5 gallons of water. Wash vehicle from the bottom up doing small sections at a time. Rinse thoroughly from the top down. This heavy-duty concentrate is designed for washing trucks, buses, tractors, heavy equipment and more. Can also be used for wheel cleaning, exhaust areas, white side walls, exterior surfaces and as a degreaser! Desgined to clean OTR trucks and commercial vehicles with little to no scrubbing. Panel Bright is our top selling truck wash. It cleans painted surfaces and brightens aluminum surfaces. Ideal for drive through truck wash. Also great for ATV's! Save time and money with our top of the line Glass Cleaner Concentrate. 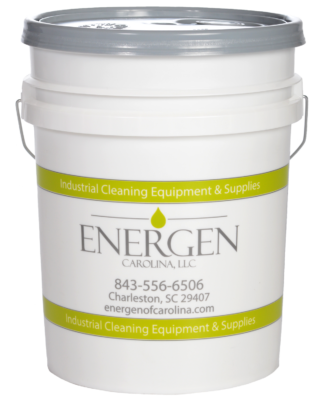 An economical cleaner designed for all types of glass and glassware. Will not streak. Also safe to use on any type of tile, chrome, vinyl, plastic and stainless steel surfaces. 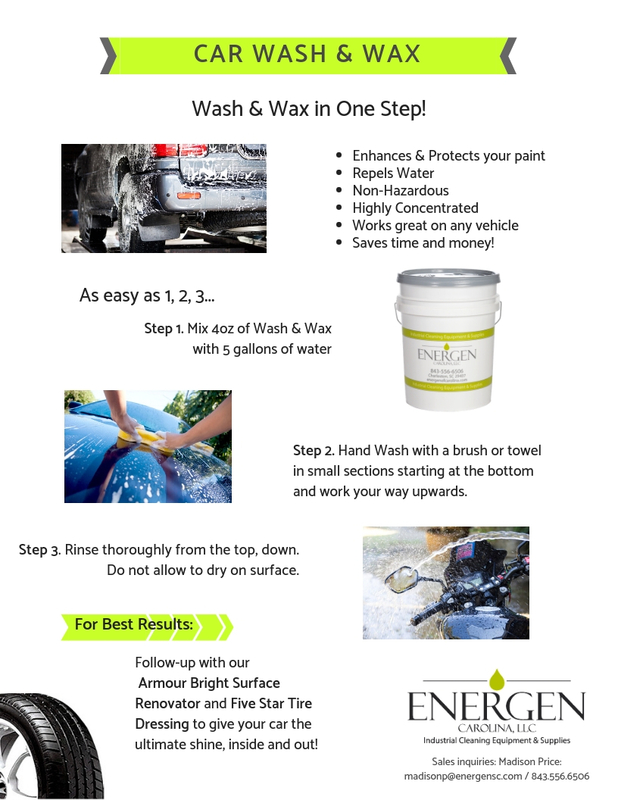 Perfect for restaurants, window cleaners, car washes and dealerships! A premium vinyl and rubber dressing. Ultra-high gloss, self-leveling, with watermelon fragrance.